An Anchorage man facing a criminal charge over his hobby of finding and recovering stolen vehicles has reached a plea agreement with prosecutors. Although the deal, reached last week, brings his 19-month court battle to an end, he says it also takes aim at his crime fighting. 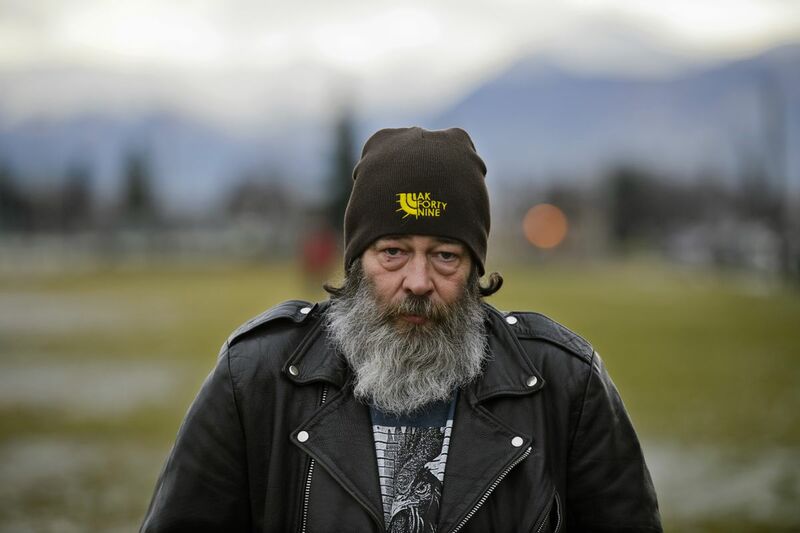 Floyd Hall, 54, spends much of his free time searching for stolen vehicles as part of a loosely defined group of vehicle recoverers who call themselves the “A Team." They rely on public tips gathered from a network of social media groups. In August 2017, Hall’s activities put him on the wrong side of the law when an alleged high-speed chase involving a stolen truck he was pursuing brought him one count of reckless driving. Rather than accept the misdemeanor charge, Hall — who said he was following, not chasing, the truck — waged battle in the courts for 19 months before reluctantly agreeing to a plea deal Tuesday. With his reckless driving charge downgraded to one count of reckless endangerment, Hall’s final penalty shakes out to 30 days in jail with 30 days suspended — which, in practice, means no jail time at all — and a $1,000 fine with $500 suspended. That means if he commits another jailable offense, he’ll be on the hook for the other $500. The seasonally employed snowplow driver will have three years to pay the fine. The agreement would also dismiss a vehicle-tampering charge from an unrelated case. A judge must still approve the deal. There’s a caveat, though: He has to stop chasing stolen vehicles. The plea deal isn’t likely to have much of an impact on the A Team’s activities, since most of their recovery operations don’t require them to follow, much less chase, a stolen vehicle, Hall said. Still, Hall is keenly aware of the scrutiny the deal places him under, even if he has no intention of ceasing his crime-fighting efforts. “It’s a burden off my shoulders in a way, but for three years I sort of have to dot my i’s and cross my t’s,” he said. The way Hall tells it, he was “bullied” into accepting the plea agreement. Not agreeing to the deal would have meant an additional two counts of reckless endangerment added to his existing reckless driving charge, his attorney said. Still, Hall said he felt the court battle had gone on long enough. Jennifer Ivers, the municipal attorney prosecuting Hall’s case, declined to comment on the agreement, saying she isn’t allowed to discuss open cases. Capt. 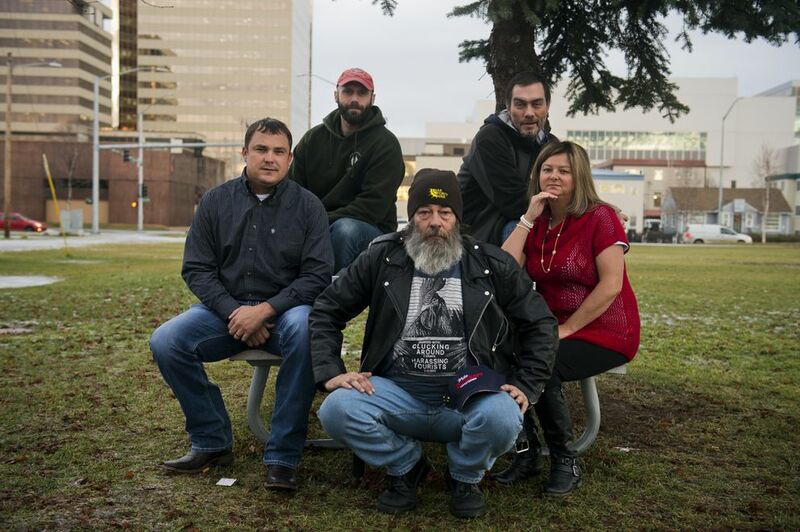 Sean Case, the commander of the patrol division for the Anchorage Police Department, said that while the agency appreciates information from the public and regularly partners with community watch groups, it draws a line when citizens might harm themselves. “You don’t know (a suspect’s) criminal history, you don’t know how violent they are, you don’t know if they’re armed,” Case said. While officers don’t go out and search specifically for individual stolen vehicles, they do run vehicle information through a statewide database while they are doing patrols, Case said. Most vehicles are recovered this way, he said. Very few are recovered because of tips from the public. Anchorage police report a steady drop in monthly vehicle thefts since the beginning of 2018, to a nearly four-year low of 116 in February. Case attributes the decline largely to staffing increases. APD has added more than 40 patrol officers and four property crime detectives within the past three years, he said. The A Team has broached the possibility of a partnership with police, Hall said, but nothing came of it. "I would hope that the city would be more cooperative with citizen groups that are fighting crime,” said Fink. Madeline McGee is a general assignment reporter for the Daily News.